Here at WIFE, we write about divorce a lot. That’s because divorce is often the single most expensive life event a woman may experience. A divorce can change a woman’s financial trajectory dramatically, which often has negative consequences for her quality for life for years to come. 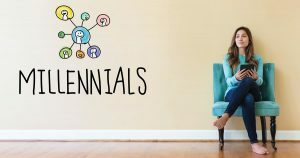 With that in mind, we thought it would be worthwhile to look at the millennial generation as it begins hitting its prime marriage (and divorce) years. How is this newest adult generation (born between 1982 and 1997) changing the landscape of marriage and divorce? In a divorce, each spouse is entitled to a portion of the couple’s shared marital assets. This benefits the lower-earning spouse (often the wife). A wife who left work to raise children or to stay at home might also be entitled to spousal support. None of this support is legally required when cohabiting couples separate. If one partner owns the house, the other partner may have no easy or affordable housing options! Now that the average age of first marriage is 26 for women and 29 for men, both spouses are likely to come into the marriage with significant assets. They may both own property, separate retirement accounts, and even own their own businesses. This can make things tricky during a divorce when the couple (or eventually the court) must determine what is marital property and what is non-marital property. Spouses coming into a marriage with significant assets should strongly consider writing a prenuptial agreement. The End of Divorce As We Know It or… a Wave About to Hit? In 2015, the NCFMR found that divorce rates had hit a 40-year low. (Though, notably, they are rising among Baby Boomers!) Researchers are still trying to figure out what is behind this trend, but some early theories suggest that it’s related to the fact that millennials are marrying at a later age and are more likely to cohabit before marriage. The thinking goes that cohabitation may allow couples to “test” a marriage before diving in, which can prevent bad marriages and future divorces. Others suggest that couples are simply happy to cohabit without marriage. Fewer marriages equal fewer divorces. Finally, it could be that since millennials are marrying at a later age, they simply haven’t had enough time yet to get to the divorce stage. If this theory is correct, then lower divorce rates may just be the calm before the storm. Only time will tell if millennials eventually catch up to their parents’ rates of marriage and divorce. Here at WIFE, we’d like to believe that as adults marry later in life, they are able to make more mature and experienced decisions about whom to choose as their life partner, which will result in a better chance at a long-term marriage. 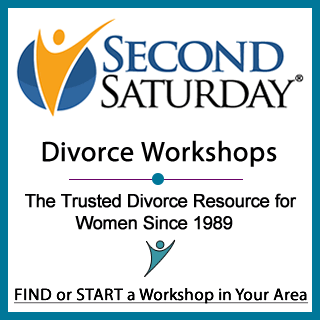 For those who aren’t so fortunate, we invite you to attend a Second Saturday Divorce Workshop where you can learn how to effectively prepare for divorce. During the Divorce, Should You Take the Investments… Or Cash? Are You Entitled to Some of Your Husband’s Retirement Savings in Your Divorce?